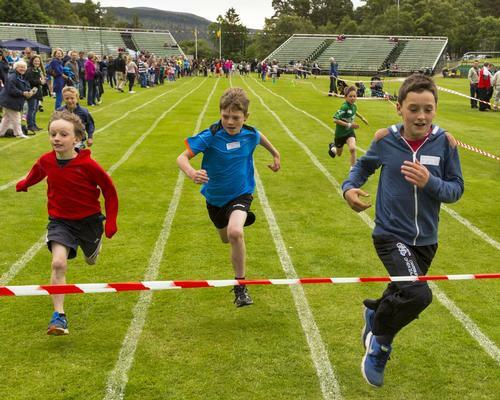 The number of schoolchildren taking part in SportScotland's Active Schools project has increased 5 per cent, hitting an all-time high. The Active Schools initiative, organised by the national sports agency, is designed to help schools and sports clubs offer young people a wider and improved range of sports opportunities. In the past year, the number of sessions delivered through Active Schools increased by 6 per cent to more than 7 million. The total number of children taking part in the sessions increased by 5 per cent to a record-breaking 309,000. Sportscotland works in partnership with all of Scotland's 32 local authorities to invest in and support the Active Schools network. The network has grown to consist of more than 400 managers and coordinators who develop and support the delivery of sporting opportunities for young people. "Active Schools aims to provide more and higher quality opportunities to take part in sport and physical activity before school, during lunchtime and after school," a spokesperson said. "During the 2017-18 academic year, more than 22,500 deliverers – 88 per cent of whom are volunteers – provided 389,000 Activity Sessions in range of more than 100 different sports and activities. "There were 2,700 links between schools and sports clubs, helping pupils to participate in sport outwith their school."